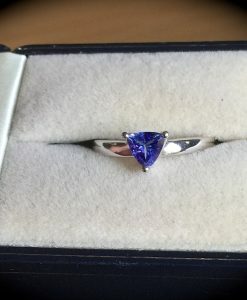 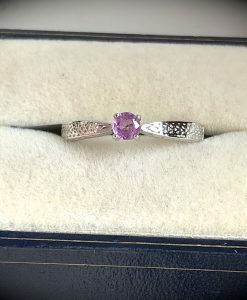 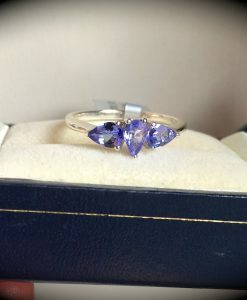 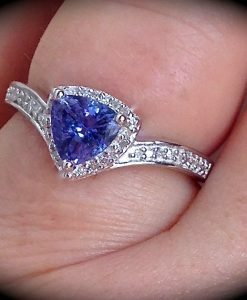 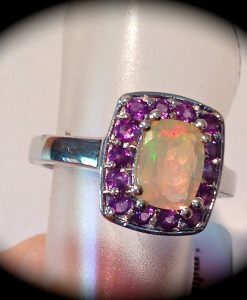 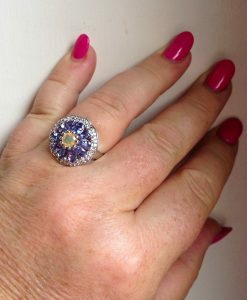 This is a fabulous premium quality Sterling silver ring set with an impressive 1.40 carats of AA graded tanzanites with a fabulous colour! 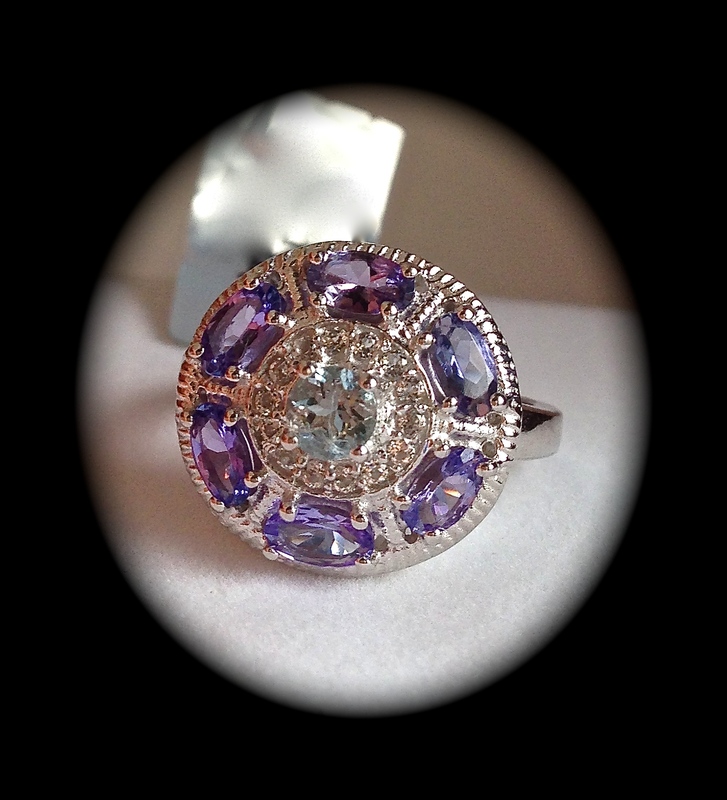 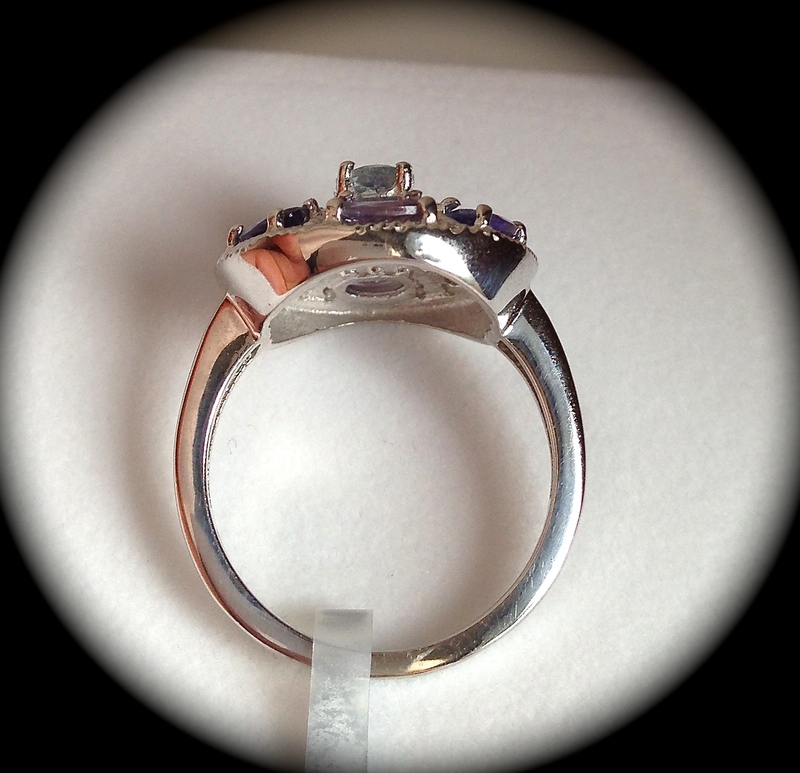 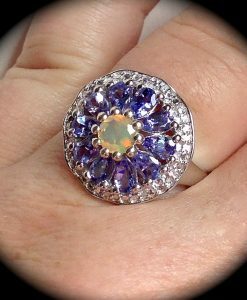 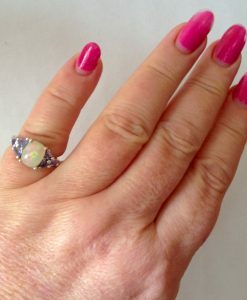 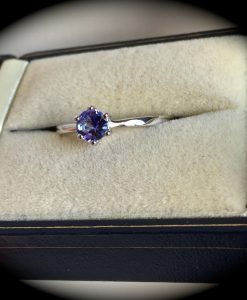 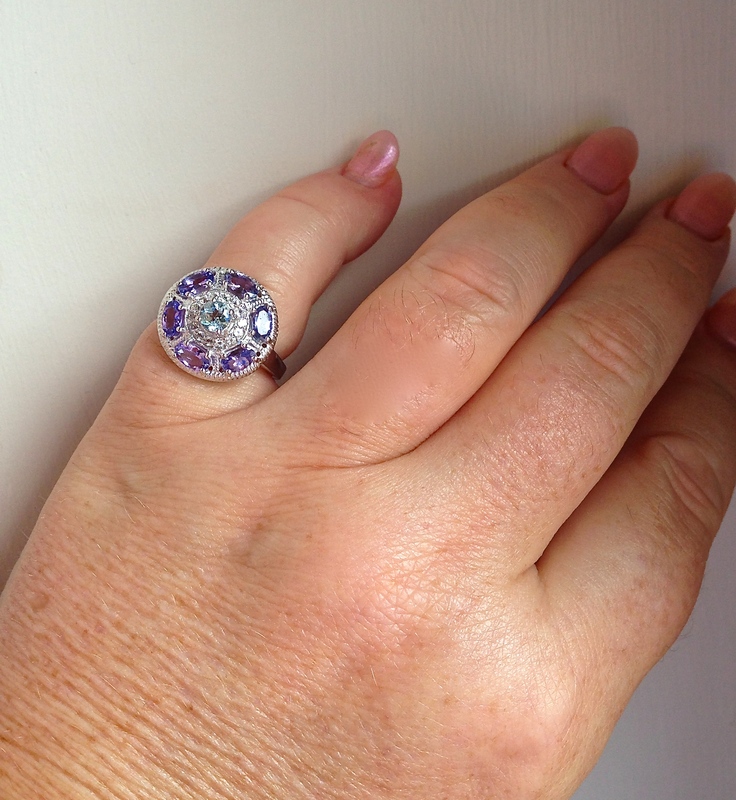 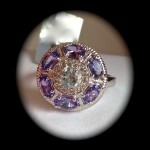 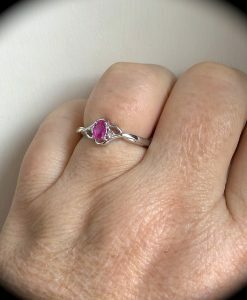 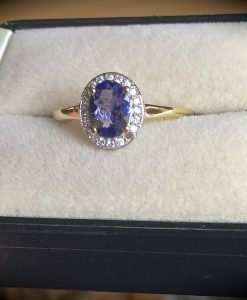 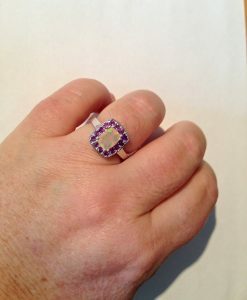 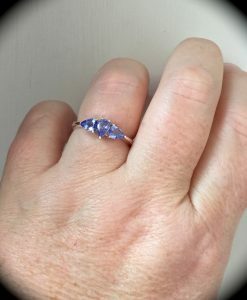 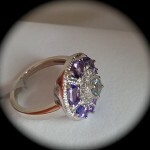 Six oval shape tanzanites have been set into this ring, each stone measuring approximately 5mm x 3mm so not tiny specs! 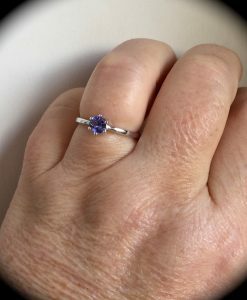 The tanzanites have been graded AA for colour saturation and can be described as a vivid violet/blue with flashes of pink. 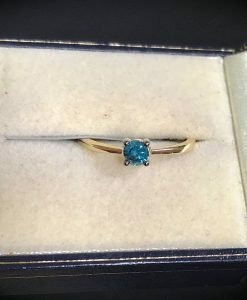 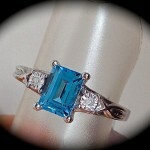 Also, set into the centre of the ring is a 4mm round cut genuine aquamarine and the colour contrast of the two gemstones looks fabulous. 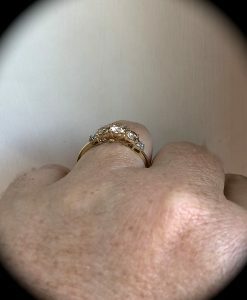 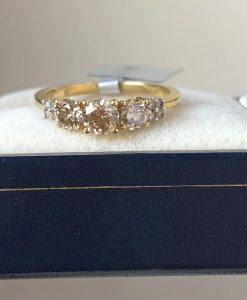 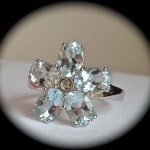 And finally, to add that touch of glamour,a sprinkling of genuine white topaz has been set into the ring also. 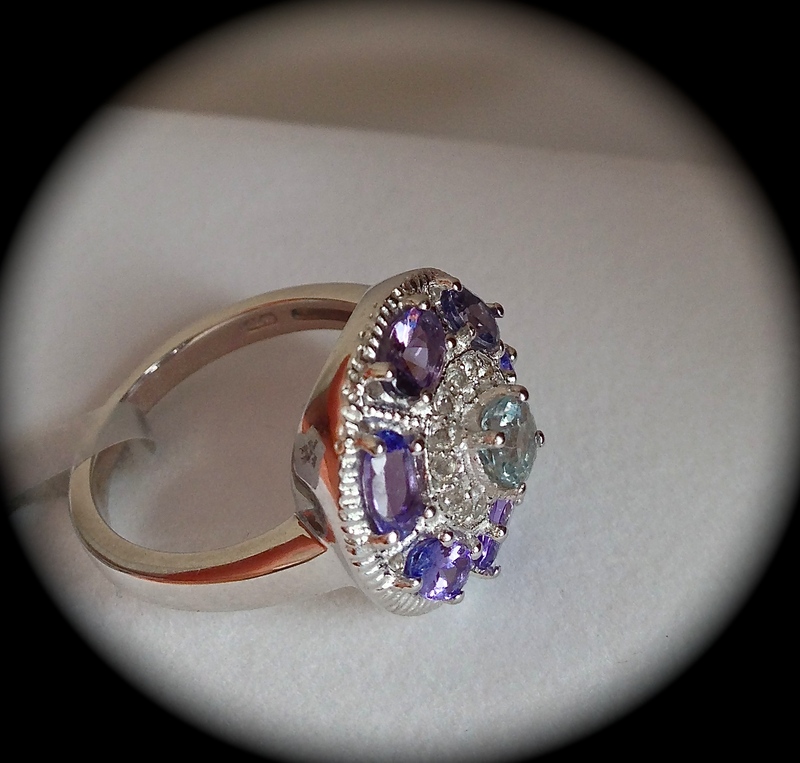 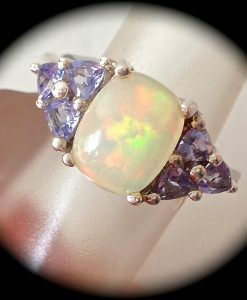 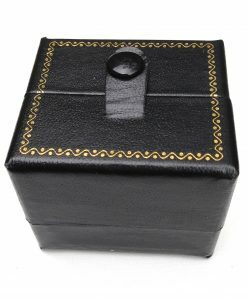 The silver weight of this piece is 4.44g so a reasonably heavy ring and an absolutely stunning piece of jewellery!